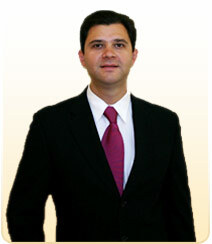 Being the Best Oral Surgeon in San Francisco | Why Dr. Alex Rabinovich? The goal of Dr. Alex Rabinovich isn’t just to be the best oral surgeon in the San Francisco Bay Area but rather to be the best oral surgeon for you and your needs. Individual needs vary, and Dr. Rabinovich will work with you to create the best plan of action for your oral surgery. Indeed, Dr. Rabinovich believes that surgery is more than just mechanics. He works hard to bring an aesthetic sense of beauty to his surgery to improve not just your health but also your appearance. Our San Francisco oral surgery center is devoted to restoring and enhancing the natural beauty of your smile using state-of-the-art procedures that will result in beautiful, long lasting results! A standard of excellence in personalized dental care enables us to provide the quality dental services our patients deserve. We offer comprehensive treatment planning and use restorative and cosmetic dentistry to achieve your optimal dental health. Should a dental emergency occur, we make every effort to see and care for you as soon as possible. Dr. Rabinovich uses state-of-the-art imaging equipment, reducing the number of patient visits required and ensuring far greater quality and accuracy. 3D imaging allows dental professionals to acquire three-dimensional patient images in-office, with substantially less radiation than traditional CAT scans and far greater quality and accuracy than with traditional imaging. It is widely used in implant cases and oral surgery, and is experiencing substantial growth in orthodontics and general dentistry. Our practice is proud to offer 3D imaging from NewTom. NewTom is the only manufacturer which offers horizontal and vertical views to optimize the diverse needs of all dental procedures. NewTom 3D unit in our state-of-the-art office is the most highly evolved in the market and is recognized as the industry leader. Because of his surgical and dental background, oral and maxillofacial surgeon Dr. Alex Rabinovich is uniquely qualified to perform procedures that involve the functional and aesthetic aspects of the face, mouth, teeth and jaws. Dr. Rabinovich has extensive education and training in surgical procedures involving soft tissue (skin and muscle) and hard tissue (bone and cartilage). His years of experience make him finely attuned to the need for harmony and balance between facial appearance and function. Our practice believes that preventative care and education are the keys to optimal dental health. We strive to provide “dental health care” vs. “disease care”. That’s why we focus on thorough exams – checking the overall health of your teeth and gums, performing oral cancer exams, and taking x-rays when necessary. We also know that routine cleanings, flossing and sealants, etc. are all helpful in preventing dental disease. Not only are we focused on the beauty of your smile, we’re also concerned about your health. A review of your medical history can help us stay informed of your overall health, any new medications, and any illnesses that may impact your dental health. Dr. Rabinovich has assembled a staff of experienced dental health professionals. We want you to be confident knowing that we are a team of highly trained and skilled clinicians. We pride ourselves in providing the care you need to keep your smile healthy. To give you the best possible service and results, we are committed to continual education and learning. We attend dental lectures, meetings, and dental conventions to stay informed of new techniques, the latest products, and the newest equipment that a modern dental office can utilize to provide state-of-the-art dental care. Also, being members of various professional dental associations helps us to stay abreast of the changes and recommendations for our profession. Building a foundation of trust with our patients as unique individuals is vital to our success. We understand how uneasy some patients may feel about their dental visits, and how we can make a difference in providing a relaxing and positive experience. Our entire staff is dedicated to providing you with excellent, personalized care and service to make your visits as comfortable and pleasant as possible. We thank you for allowing us to take care of your oral surgery needs and look forward to serving you. The goal of Dr. Alex Rabinovich is to be the best oral surgeon in San Francisco by being the best oral surgeon for your individual needs. Being the best oral surgeon is as much a perspective as a fact, after all. Make an appointment today. Call Oral Surgery San Francisco today at (415) 817-9991, or email us at info@doctorrabinovich.com.